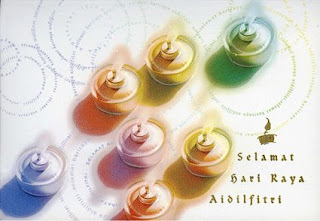 4- To my friends who will be celebrating this raya far away from home (read: Rough, Nique and Bosh), if you are reading this, I wish the best of raya to you. I personally think this raya will be more meaningful to you guys. I guess that's all..See ya after raya! wow...kat UK mmg ramai je org2 Msia so takde ape ler sangat. nih aku yg ntah kat mane2 nie...mmg ler sedih ok.
btw, nique...ape u nyer YM? ?